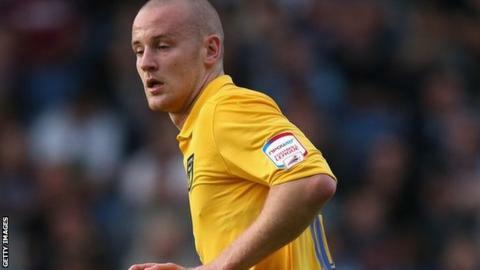 Deane Smalley's 116th-minute penalty earned Oxford victory after extra time at Gateshead to book a date with Wrexham in the FA Cup second round. Ryan Williams was felled by a clumsy tackle from James Curtis and referee Paul Tierney pointed to the spot. Oxford will now aim to reach the FA Cup third round for consecutive seasons. Last year they ended a 10-year wait but were defeated 3-0 by Sheffield United - the same result in the 2011-12 first round. Smalley, who scored drilled home to send the U's through. It came just moments after Gateshead winger James Marwood had volleyed against the post. The hosts dominated possession from the off but a corner provided their best chance of the first period, an unmarked Curtis heading straight at Oxford keeper Ryan Clarke at the back post. The League Two leaders were better after the restart and striker Dave Kitson saw his header cleared off the line by Jamie Chandler. Gateshead then wrestled back the ascendancy and Colin Larkin had a wonderful chance but from 18 yards could only fire straight at Clarke before the final five minutes petered out to extra time. Gateshead keeper Adam Bartlett had to be at full stretch to push Williams's curling effort away. The majority of the 2,632-strong crowd, the Tynesiders' highest for almost three years, went wild on 100 minutes when Larkin scuffed the ball home at the back post only to turn and see a raised flag for offside. Chandler had a shot blocked as time ticked down and Gateshead continued to press but Smalley's late penalty broke the non-leaguers' hearts. Match ends, Gateshead 0, Oxford United 1. Second Half Extra Time ends, Gateshead 0, Oxford United 1. Offside, Gateshead. Adam Bartlett tries a through ball, but Joe Tait is caught offside. Substitution, Gateshead. Liam Hatch replaces Josh Walker. Substitution, Gateshead. Joe Tait replaces John Oster. Goal! Gateshead 0, Oxford United 1. Deane Smalley (Oxford United) converts the penalty with a right footed shot to the bottom left corner. Penalty conceded by James Curtis (Gateshead) after a foul in the penalty area. Penalty Oxford United. Ryan Williams draws a foul in the penalty area. Substitution, Gateshead. Rob Ramshaw replaces Jamie Chandler because of an injury. James Marwood (Gateshead) hits the left post with a right footed shot from the left side of the box. Assisted by John Oster. Attempt missed. Josh Walker (Gateshead) right footed shot from the left side of the six yard box is close, but misses to the left. Attempt blocked. James Curtis (Gateshead) header from the centre of the box is blocked. Assisted by Colin Larkin with a cross. Corner, Gateshead. Conceded by David Lynn. Corner, Gateshead. Conceded by Ryan Williams. Attempt blocked. Jamie Chandler (Gateshead) right footed shot from the centre of the box is blocked. Second Half Extra Time begins Gateshead 0, Oxford United 0. Substitution, Oxford United. Tyrone Marsh replaces Dave Kitson because of an injury. First Half Extra Time ends, Gateshead 0, Oxford United 0. Corner, Gateshead. Conceded by Deane Smalley. Corner, Gateshead. Conceded by Matt Bevans. Attempt blocked. Ben Clark (Gateshead) right footed shot from outside the box is blocked. Assisted by Colin Larkin. Craig Baxter (Gateshead) wins a free kick on the right wing. Hand ball by Jamie Chandler (Gateshead). Offside, Gateshead. Jamie Chandler tries a through ball, but Colin Larkin is caught offside. Substitution, Oxford United. Sam Long replaces Danny Rose. Attempt saved. Ryan Williams (Oxford United) right footed shot from the left side of the box is saved in the top centre of the goal. Assisted by James Constable. Corner, Gateshead. Conceded by Tom Newey. Attempt missed. Josh Walker (Gateshead) right footed shot from the right side of the six yard box is just a bit too high. Assisted by James Marwood with a cross. Attempt missed. Josh Walker (Gateshead) left footed shot from the centre of the box is close, but misses to the left. Corner, Gateshead. Conceded by David Hunt. First Half Extra Time begins Gateshead 0, Oxford United 0. Second Half ends, Gateshead 0, Oxford United 0. Attempt saved. James Marwood (Gateshead) left footed shot from outside the box is saved in the centre of the goal. Assisted by Josh Walker. Delay in match Danny Rose (Oxford United) because of an injury. Attempt missed. Phillip Turnbull (Gateshead) right footed shot from outside the box is close, but misses the top left corner. Assisted by John Oster. Attempt missed. John Oster (Gateshead) right footed shot from outside the box misses to the left. Assisted by Colin Larkin. Attempt blocked. Phillip Turnbull (Gateshead) right footed shot from outside the box is blocked. Assisted by Jamie Chandler. Attempt saved. Colin Larkin (Gateshead) right footed shot from the right side of the box is saved in the top centre of the goal. Assisted by Phillip Turnbull.